Huawei is making an effort to extend its reach into the US market by selling to consumers directly. 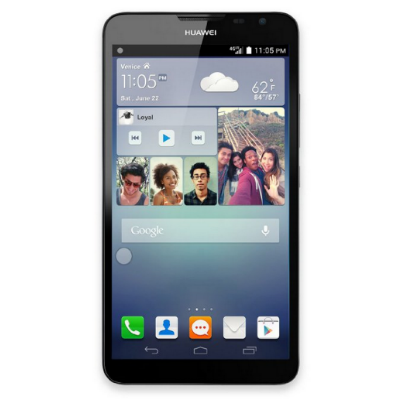 Last week the company put the Ascend Mate 2 up for pre-order on its site priced at an affordable $299. Now the handset is available via Amazon Prime as well, and it's shipping right away. For the price, the Ascend Mate 2 is a monster of a phone. You're looking at a 6.1-inch 720 by 1280 display, a 13MP rear-facing camera, and a massive 3900mAh battery. A GSMArena test shows it besting the likes of the Note 3, the Xperia Z1, and other beefy mobile devices. The phone is actually packing enough juice to charge other devices via a dedicated cable from Huawei. 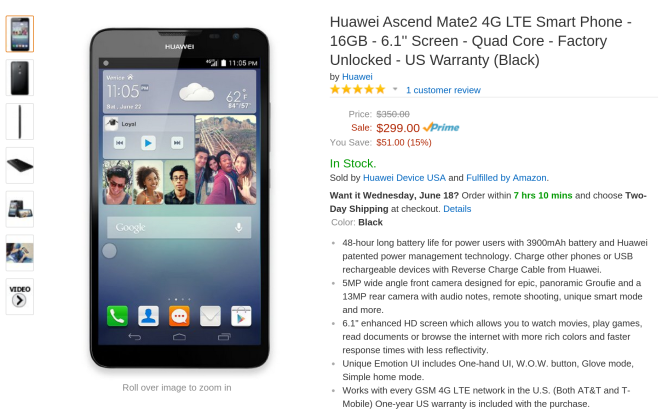 Amazon's not offering the phone for any cheaper than Huawei is selling it directly. In fact, buying the Mate 2 from gethuawei.com will actually net you a free Net 10 SIM card (a $50 savings). But if you're a Prime customer, that free shipping is hard to beat.